Monica Poletti graduated from the University of Milan and then did her Master of Research in Political Communication at the ASCoR-University of Amsterdam. She holds a PhD (Political Sociology) from the University of Milan on the determinants of social and political participation in Italy, with a special focus on party membership. During her PhD she spent time as a visiting fellow at the MZES (Mannheim Centrum for European Social Research) in Germany. 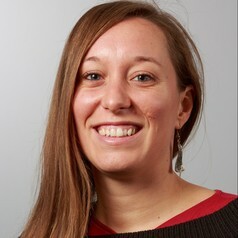 Since 2010 she has been a research fellow of the COST-Action 'True European Voter' (TEV) project on the influence of context on electoral behaviour in European countries, as well as of the EU General Home Affairs-funded KING project (Knowledge for Integration Governance) on Immigration. After finishing her PhD she was a post-doctoral fellow at the University of Milan, working on Euroscepticism, populism and Italian voting behaviour (in close collaboration with Italian National Election Studies - ITANES) and has spent time as a visiting fellow at the London School of Economics and Political Science (LSE - Methodology Dept., European Institute and Government Dept.). Since 2013 she has taught quantitative methods for the social sciences as well as political sociology at the LSE. She moved to Queen Mary in September 2015 to work on the ESRC funded political party members project with Tim Bale and Paul Webb. Monica is also a co-editor of the LSE-based Euro Crisis in the Press blog. She is interested in research dealing with Political Participation, Electoral Behaviour, Public Opinion, Political Culture and Political Communication.